I went to Kanab today with several people from the home office to attend the funeral of our longest tenured Stampin’ Up! employee, Linda Kloepfer. She died last week unexpectedly, which is always sad. But today was a beautiful day as people who loved her gathered together to celebrate her life, which was well lived! Linda was truly an amazing woman—she’d been with us about 20 years, and through the years she has been an exemplary employee. She’s handled the changes we’ve gone through with a wonderful attitude, always supportive and positive. And even more than that, she’s been a source of great strength for those around her! There is definitely a hole in Kanab without her; our employees knew they could always go to her for support, advice, and encouragement. It was wonderful to see many former employees, who came to honor Linda. And I loved talking to her sons, who I haven’t seen for years and who are now grown-up. They mentioned that, while they will miss their mom, they know she’s with their dad (who died 13 years ago) and so they know she’s happy. There’s great comfort in knowing that there’s life after death, and we will see those we love again! Thank you, Linda! 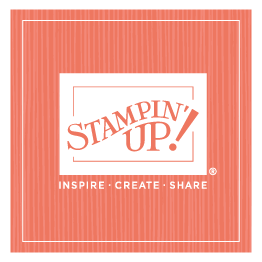 And thanks to all our wonderful Stampin’ Up! employees! Today was definitely one of those days when I felt very grateful for the amazing people I get to work with every day. . .